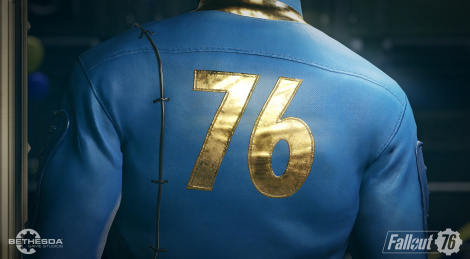 After standing by for a day, you can now discover the official teaser and first images of Fallout 76, developed by Bethesda Game Studios. More will be obviously be revealed during the publisher's E3 showcase on June 10. Surely the huge jump in the version number is intended to be an indication of how much the game improved compared to the predecessor. I think it's more likely that they're making sure you don't mistake it for a mainline fallout game. Apparently it's just a RUST clone. A multiplayer only survival/crafting/building game. I couldn't be less interested. Heh, maybe i'll pass then. If it's truly a MP only game, forget it. If it has SP or both, it looks too much like Fallout 4 for me to get excited at all. Give us New Vegas 2 or Elder Scrolls. Snore on this. Fallout 4 was a letdown compared to both Fallout 3 and Fallout: New Vegas. Bethesda has said that they have listened and learned from all the criticisms about Fallout 4, so now is the time to prove it. Cautiously optimistic. PS. Obsidian - of F:NV - is not working on this one. Fallout 4 was a letdown so let's make... another survival game! Steam is packed with so many survival games. They all feel shallow and half baked. Yes there are a ton of survival games but how many are AAA though? i assume this is aaa right? At least AA! But still.. some of those games are very mature. That said: we don't know exactly what this game is yet. And I don't see the point in being disappointed when no one really expected a new Fallout RPG soon anyway. 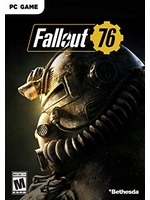 The disappointment would be if Bethesda's other sci-fi game or TES were significantly behind schedule. I would love if Bethesda use guns for hire, like Obsidian, but they've got a lot of inhouse stuff to work with now too. I love Fallout so I'm intrigued by whatever it is tbh. Atompunk rules. When they started teasing I didn't expect more than a remaster or a new mobile game. I can't get too bent out of shape yet. I just wonder what E3 holds for Bethesda. I think it's for this year.